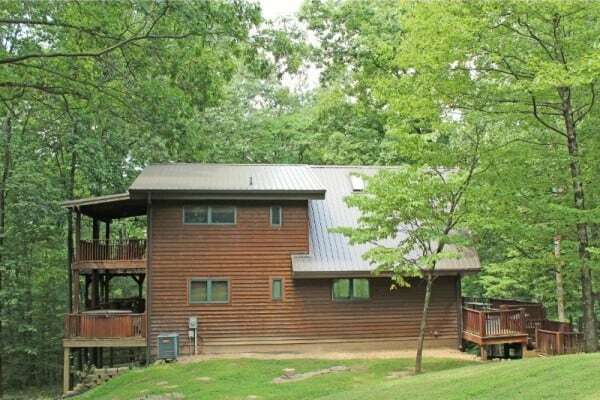 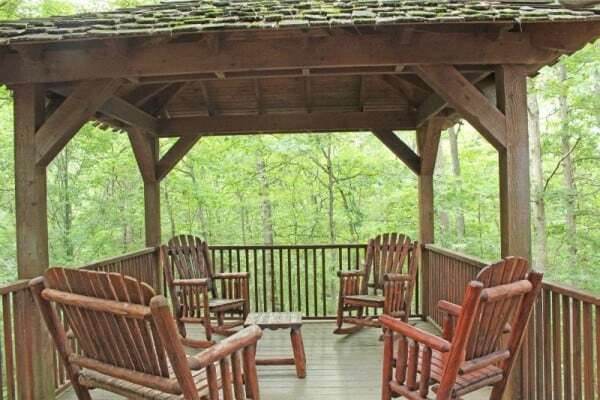 Located on 6 private acres between Nashville and Bloomington, Paradise View Lodge is surrounded by woods and offers a spacious home for a large family or group. 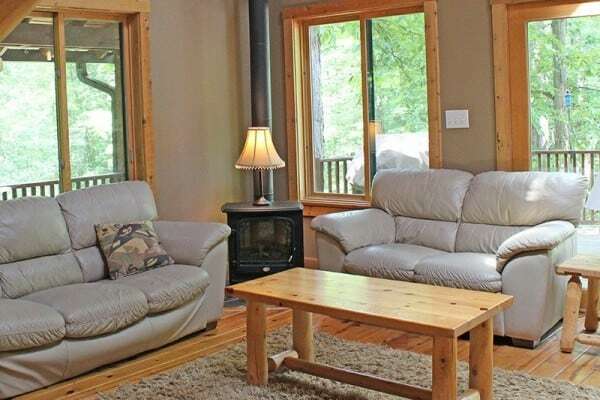 Enter this cabin on the main floor to find a country kitchen, dining area, and living room with a fireplace and TV. 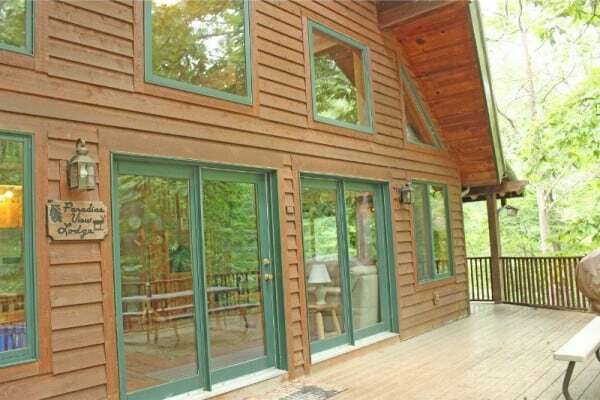 There is a master bedroom with queen bed on the main floor, as well as a full bathroom. 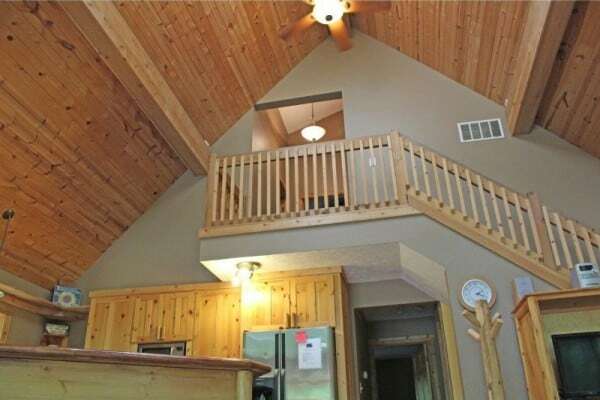 The upstairs loft overlooks the main floor and offers 2 bedrooms with queen beds and another full bathroom. 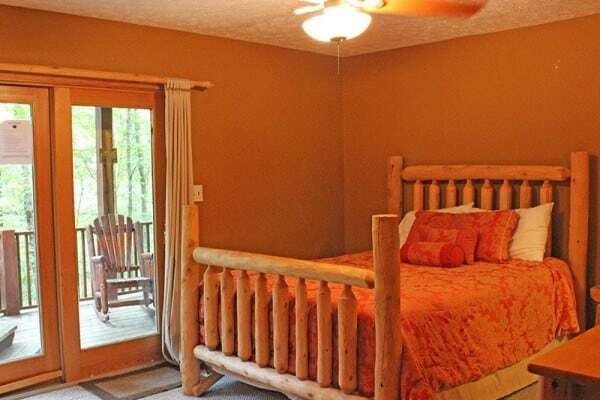 You'll find an additional bedroom on the lower level with a set of bunk beds and bathroom. 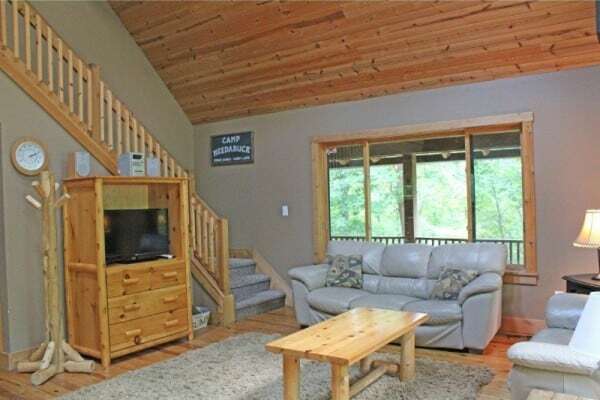 The lower level also has a large entertainment room. 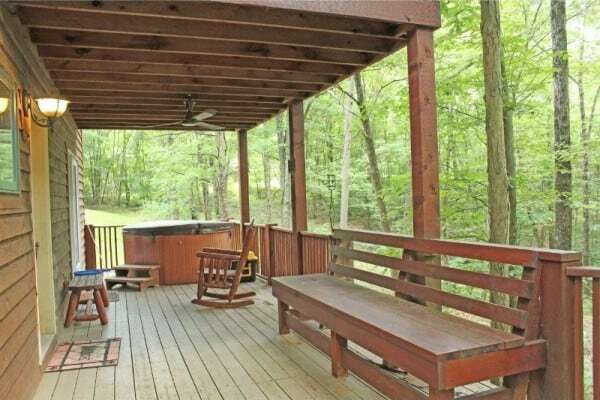 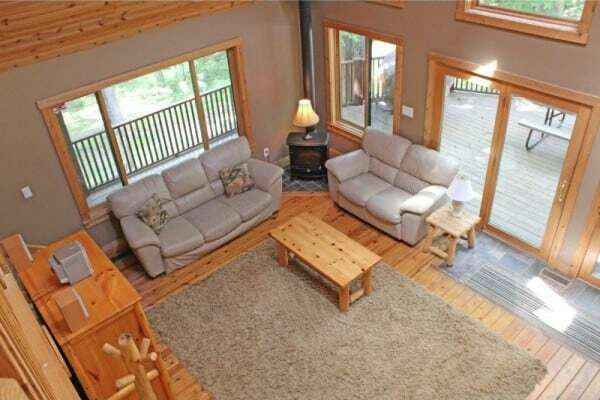 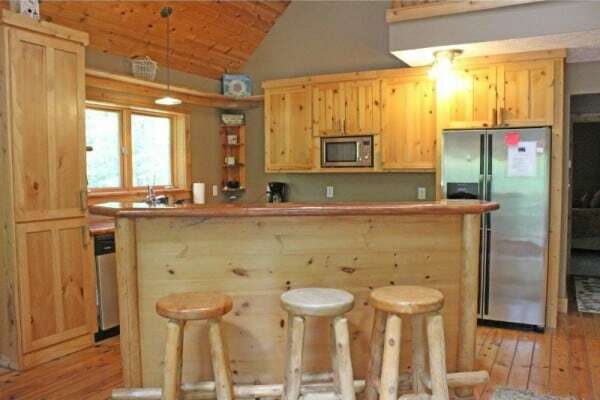 Head outdoors and enjoy the cabin's large wrap around deck, gazebo, hot tub, and forest views.